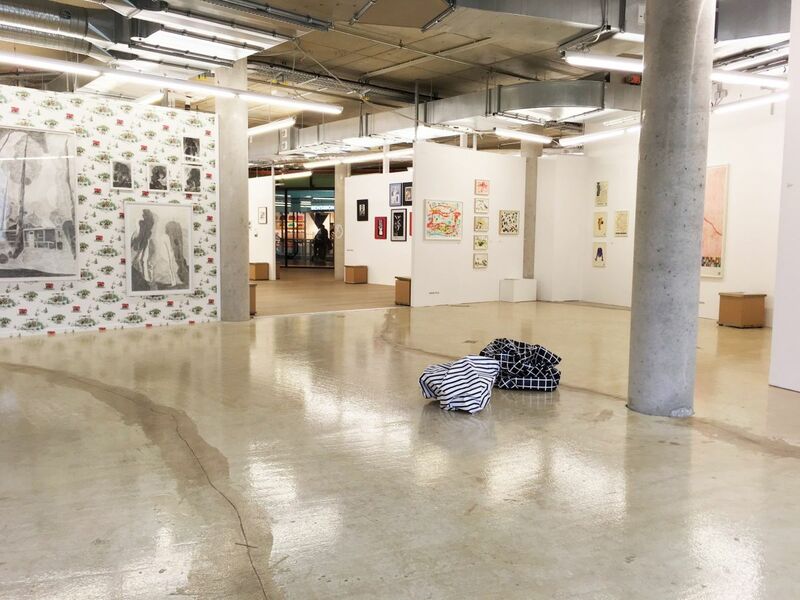 From April 28 – 30, 2017, during Berlin Gallery Weekend, PAPER POSITIONS invites 30 international galleries to present their most significant artistic positions of contemporary and modern art with focus on paper works: drawings, collages, paper cuttings, text works, photography, art books, objects. 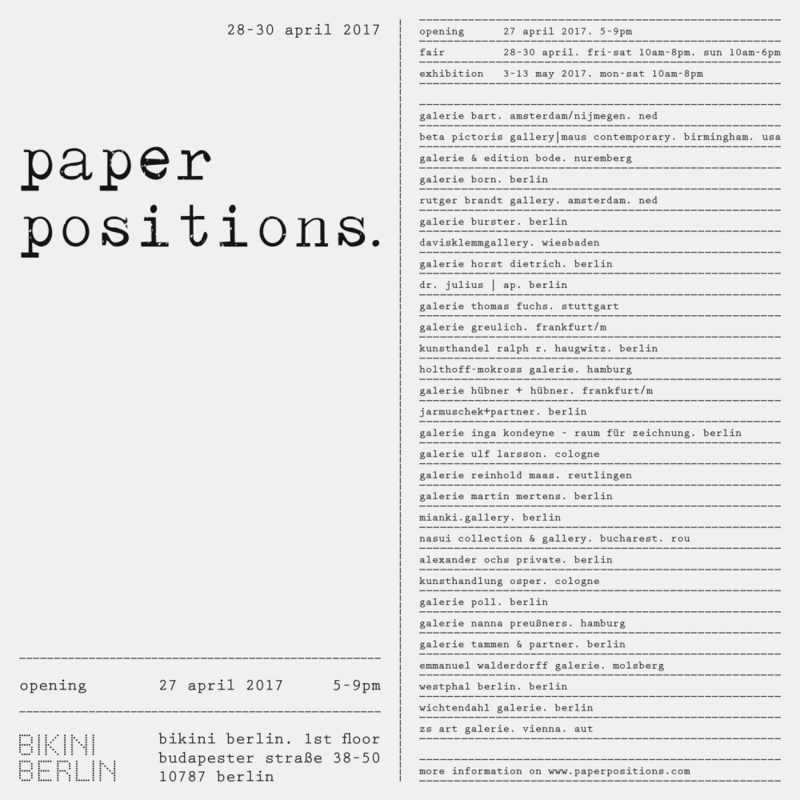 PAPER POSITIONS will be held in a most central location, on 675 sqm on the first floor at Bikini Berlin, Budapester Str. 38-50, 10787 Berlin.